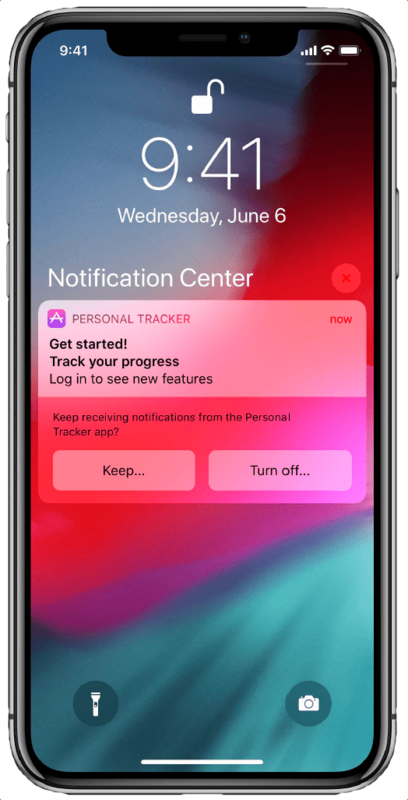 iOS 12 approaches, bringing with it some of the most substantial changes to the notification system in recent memory. Aimed at reducing tech addiction and unwanted messages, the update has sparked turmoil among marketers. Many fear that the new updates mean there are fewer chances to engage users. iOS 12 presents some noteworthy opportunities that have gone unnoticed. Here, we compile key insights that will help marketers take advantage of iOS 12 — and engage mobile users better than ever. In previous versions of iOS, system permissions were a major hurdle. As a UX designer, you could lower that hurdle with good framing and a solution such as Push Pre-Permissions. But ultimately, users still needed to accept that system-level request before you could engage them beyond the bounds of your app. With iOS 12’s new features, there are some new options: namely, provisional push permissions. 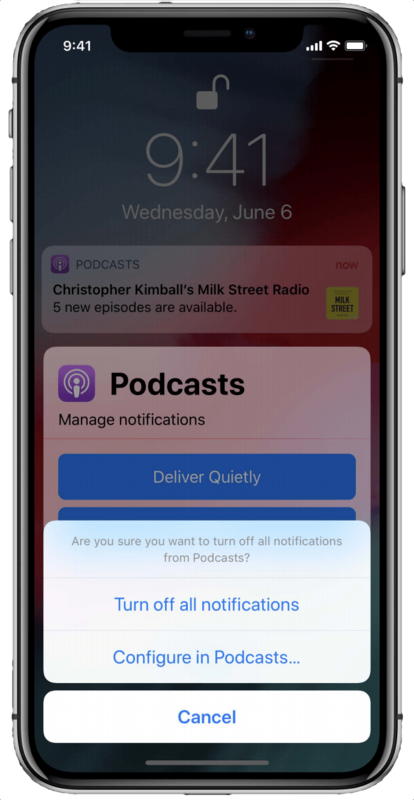 As iOS engineer Teja Kondapalli puts it, provisional push permissions are “an automatic trial of the notifications from your app.” Using the new “quiet delivery” option, they’ll only show in the notification center and won’t play a sound. You’ll still need system permissions to access the lock screen directly. A notification delivered using iOS 12’s new provisional push permissions. But don’t fear. Provisional permissions offer an opportunity to prove the value of your notifications early on. Well-crafted messages can draw users in and make them more likely to grant system permissions to your app permanently. This update has opened up a whole new way to hook users into your app and get them to turn to you every time they have a need. Combined with Push Pre-Permissions, negotiating for system permissions just got a whole lot easier. Among the iOS 12 features with the greatest impact, users can now forever silence your app from the lock screen, disabling push notification in only a few taps. Given what we’ve seen from our Mobile Marketing Trends reports, this can hit your daily active user (DAU) count like a six-axle truck on the interstate. But all is not lost. As part of the process for disabling notifications, Apple has included an “extra confirmation screen.” Instead of turning off all notifications, users can now go into your app and disable certain kinds of notification. In doing so, iOS 12 also gives you a final chance to plead your case. 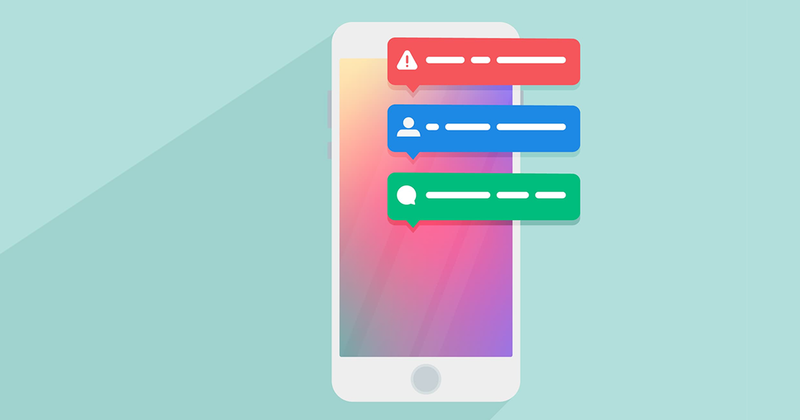 Use the breakdown of notification types within your app to highlight the value of each kind, and you might only lose a few permissions instead of all. For example, users can choose to receive status updates about a recent purchase in lieu of marketing emails about upcoming sales. Apple’s prompt gives users the option to adjust notification settings within the app instead of disabling all notifications. While the ability to manage notification preferences from the lock screen is new to iOS, Android has used a similar system for several years now. While Apple’s role as a culture leader has boosted the visibility of iOS 12’s new features, many aren’t as new as they might seem. In other words, if your app exists on both iOS and Android, you’ve probably been dealing with this exact kind of system for quite some time. The only real difference is that Apple’s system gives you a final chance to hold onto permissions, while Google’s does not. Of course, the real secret here is to design awesome notifications, personalized to your users. 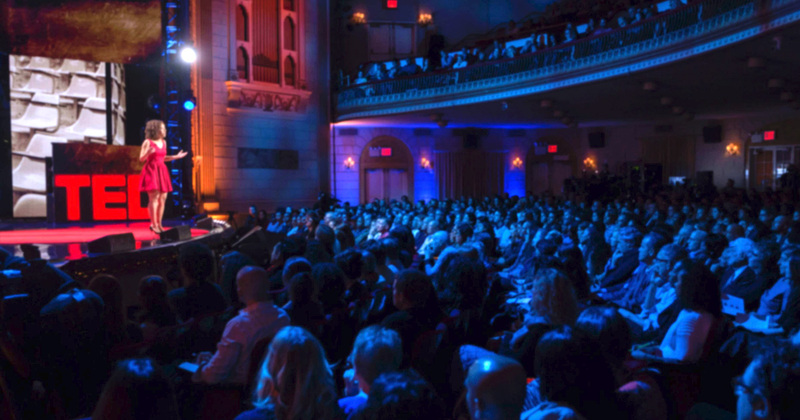 Personalized content works. Data shows that personalized notifications can garner 4x the engagement. 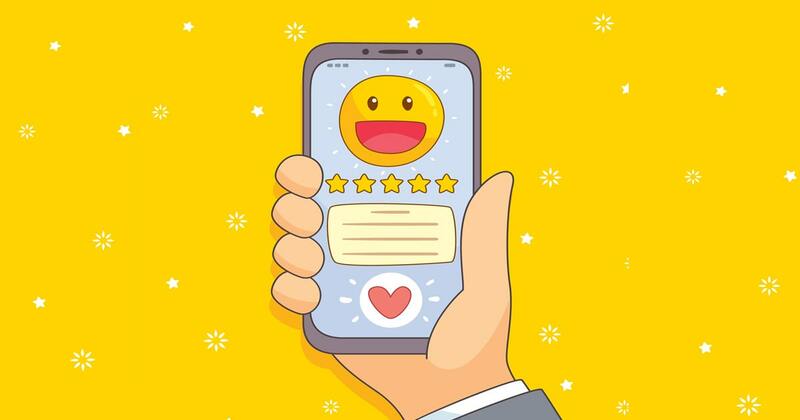 In other words, iOS 12 is a push for mobile marketers to raise the stakes and provide more relevant updates to their audience. Along with these tweaks to notification delivery and user control comes a vast increase in functionality and complexity. For much of the operating system’s lifespan, notifications have largely functioned as deep links. They pop up, the user taps them, and iOS sends them to a specific part of your app. They aren’t all that different from a fancy bit of text hyperlinked to a web page. With iOS 12, notifications are becoming so much more, with a learning curve to match on the development end. iOS 10 and iOS 11 allowed for a limited degree of interaction on the lock screen. A long press on a notification gave the user access to a few buttons they could then use to send input to the app, perhaps to like, add a comment, or read a story. Unfortunately, they never really extended beyond Apple’s own apps. iOS 11’s rich notification options from WWDC 2017. 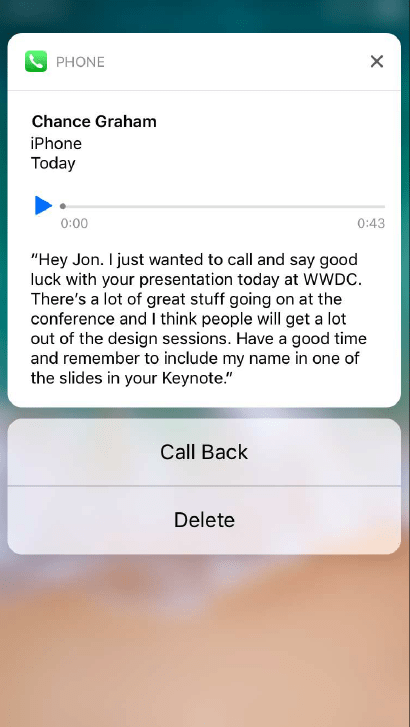 Now developers can add their own custom buttons, and even allow users to interact with the app directly from the lock screen. Instead of pressing system-style links disguised as buttons, a user can interact with an app instance that lives inside of a notification. iOS 12’s new rich notifications in action at WWDC 2018. Users can press the ‘heart’ button on the page directly from this notification. In other words, notifications now act as portals. 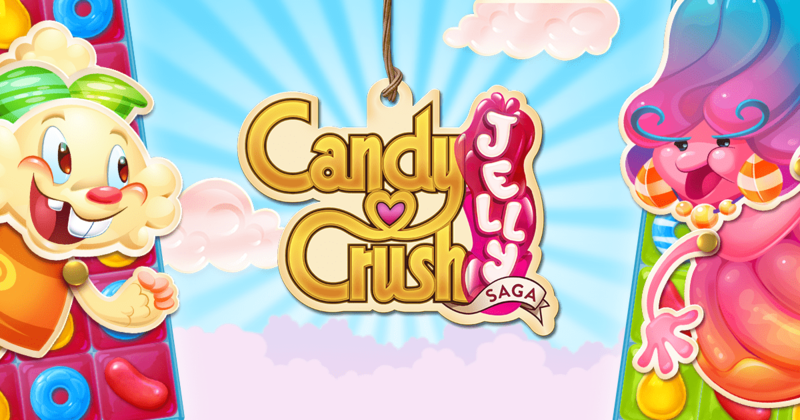 Users can reach through and engage without even entering the app. The barrier between modes of use (lock screen vs. in-app) has become porous. With the public release of the iOS 12 beta following WWDC, many users are already experimenting with these features. Do the same, and take advantage of the new capabilities on offer. Check out the WWDC talk for more info, and for tips on how to adjust your app’s code to use these new features. 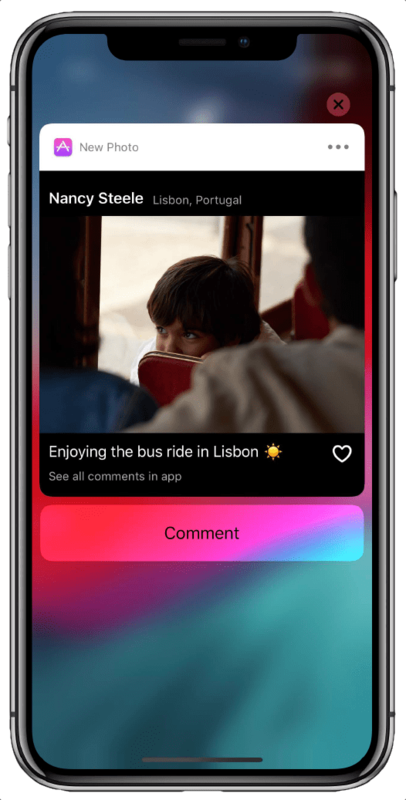 If you have questions about how to harness the power of iOS 12 for increased engagement, reach out — we’re happy to advise you on your journey to mobile success.